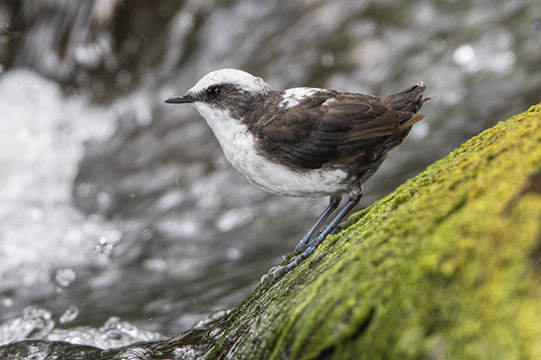 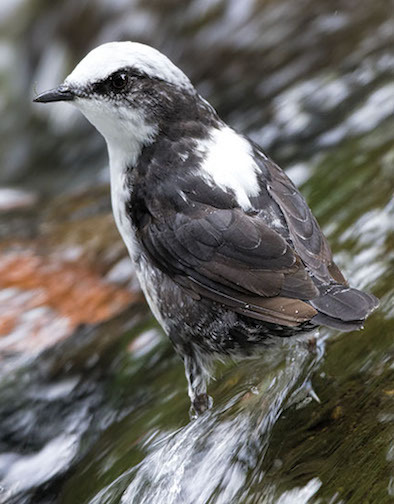 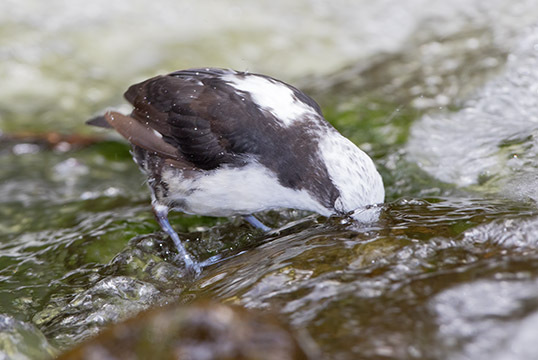 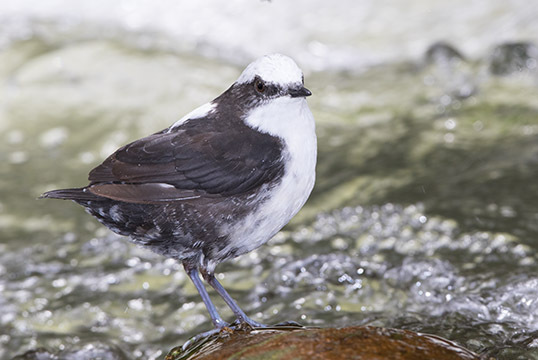 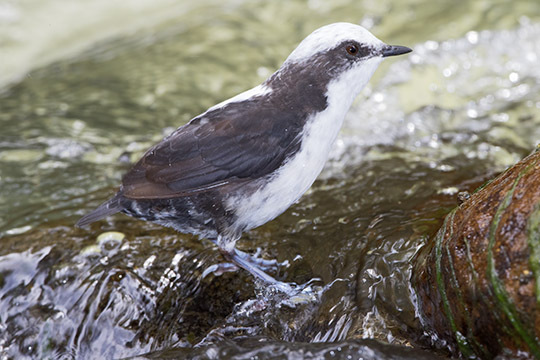 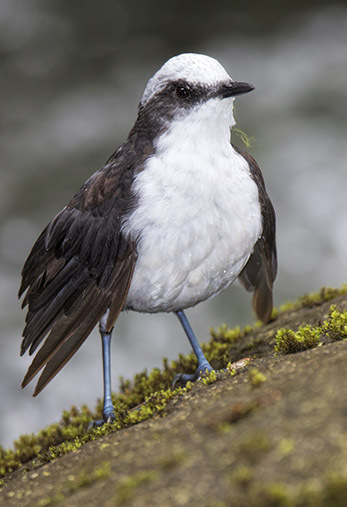 White-capped dippers, like their close relatives in Europe, Asia, and North America, are remarkable little birds of clear, cold mountain streams. 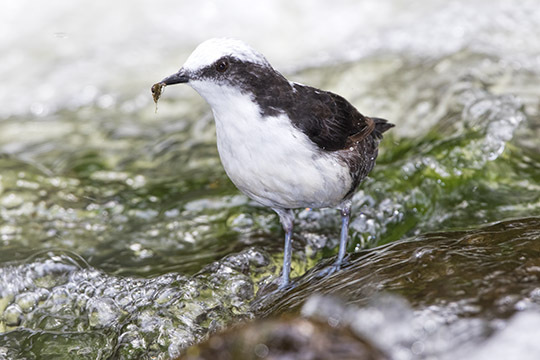 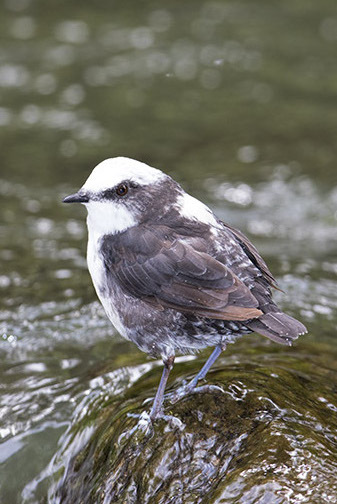 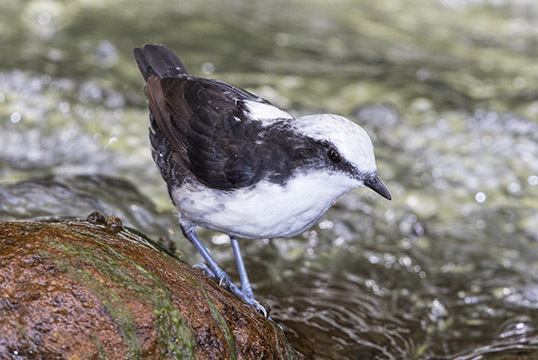 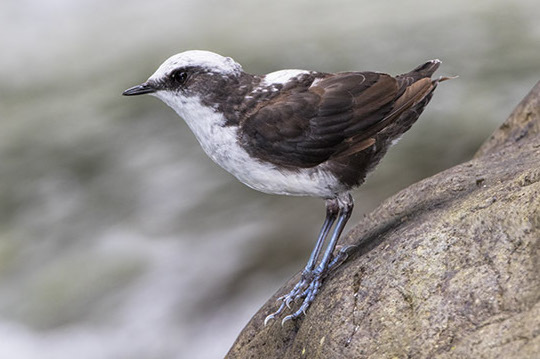 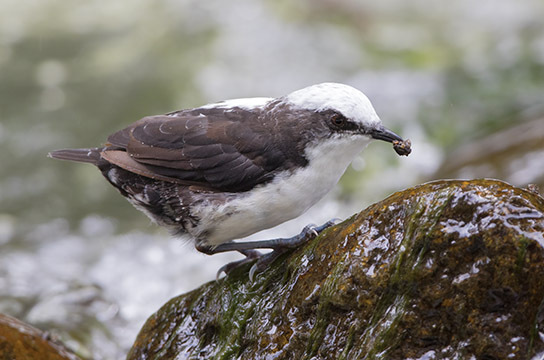 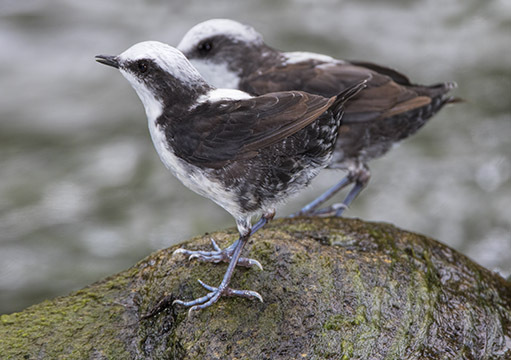 They forage for insects and other small animals by diving underwater (despite their buoyant plumage), gripping rocks with their strong feet, and popping up unexpectedly far from where they went under. 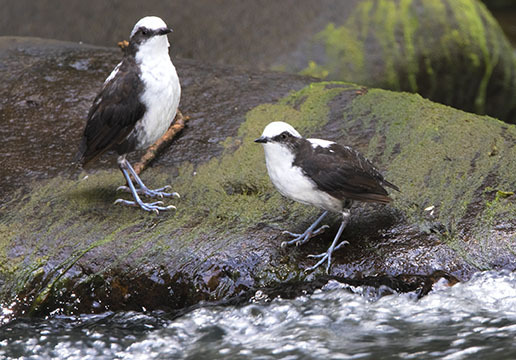 This pair was feeding in the fast-flowing Rio Otun at the base of the Nevado del Ruiz volcano in Colombia.